Can I share a little secret with you? 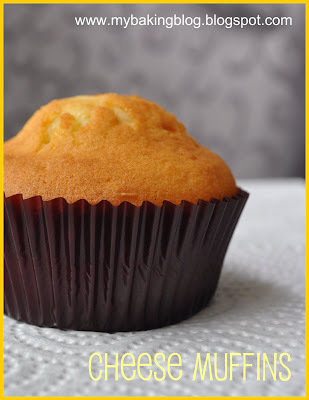 Despite starting this blog for more than 2 years, embarking on numerous baking "projects", feeding my family with the results of my experiments, attending a good number of classes, there are many times I am still not totally confident of myself and the things I bake. Honestly. I do put in my best effort whenever I try something new, because I know that if I don't, what comes out from the oven most likely will end up with the trash. Many times, the things I bake are totally edible. In fact, some taste really nice. However, there will be just that something I am not pleased with. For instance, I might have come up with something that tastes nice, but I do not feel it totally looks nice to me. By nice, I refer to the kind of standards that draws people to look and buy. I think my stuff looks home-baked, which honestly, may not really be that bad. And there are times when something looks nice (!) but the taste is forgettable, or unforgettable for the wrong reasons. Even though the guinea pigs in my family might give really positive comments, I tend to tell myself they are just being kind with their words and they do not want to hurt me with the truth. 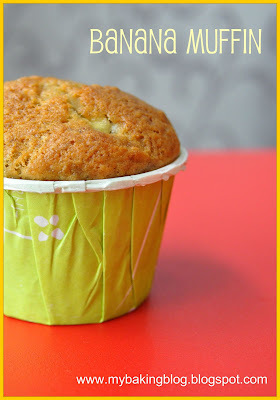 Last week, I finally pluck up some courage and gave my friends some muffins I made. Of course, those were recipes I had tried before, but I added cheese for the first time in one of the recipes....so, it was still something new I was totally anxious to have their comments. They said nothing the same night I gave them the muffins...and nothing the next day. I thought they must be having a hard time trying to think how to word their comments without making me sad. They finally told me that the muffins were generally good, other than some slight tweaks required. Phew! I was particularly pleased with the picture I took for the banana muffin. Now that is a little confidence booster. I looked through my old blog posts and couldn't believe that I had not shared the recipe because the recipe is a really good one (perhaps I thought my old pictures looked too awful and couldn't convince that the recipe was good). I have more than a handful of times ( I just did not always blogged about it) and the results are consistently good. Now that I think I have a more convincing picture, I have added the recipe to My Recipe Blog. 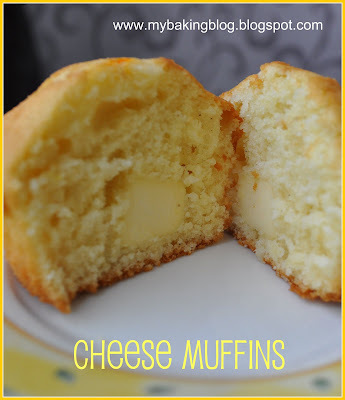 As for my cheese recipe, I basically used my Basic Muffins and added a small cube of cream cheese inside. I also switched to using a better quality Madagascar Bourbon Vanilla Paste instead of cheap vanilla essence (I know..I was cheapo) and there is such a great difference! On its own, I can taste the bourbon and in the muffin, I can see little black specks of the vanilla seed ( I hope they are not specks of dirt in actual fact haha...).